Casa Italia Cafe is a franchise from Singapore that specializes in the traditional Italian bar of handcrafted premium gelato, freshly-made comfort food dishes, Italian specialty coffee, beer, and wine. 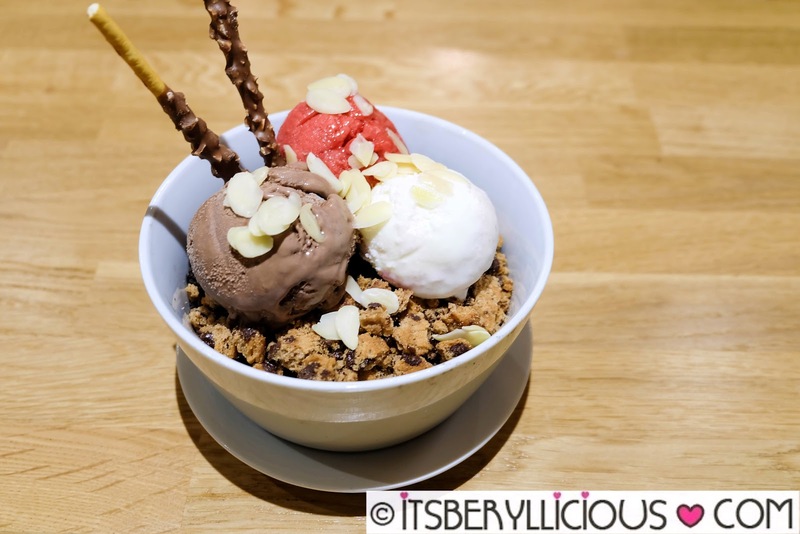 From its humble beginnings as a gelato parlor in Singapore back in 2010, it has now expanded to a fast casual all-day-dining restaurant, with more international outlets opening soon. We visited Casa Italia Cafe at The Block in SM North Edsa to check out their new gelato products. Before anything else, let me introduce Casa Italia's hero product- Gelato. 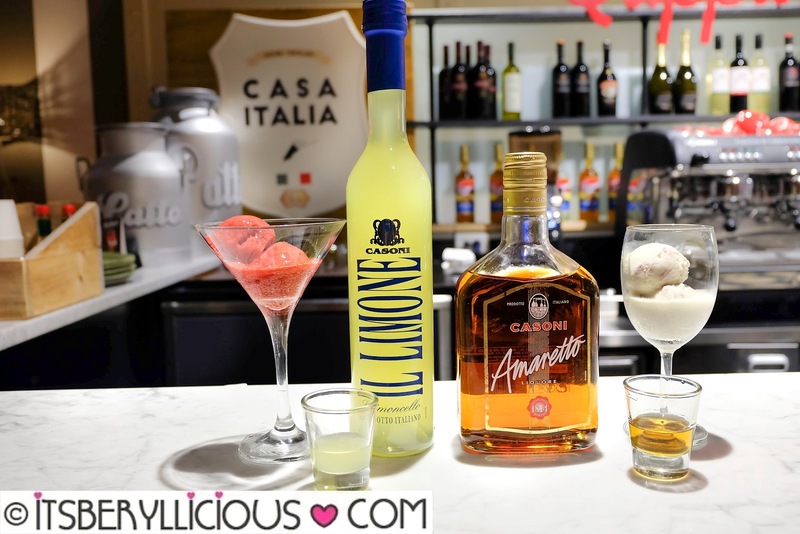 Casa Italia takes pride in their premium handcrafted gelato flavors, which are churned out honestly with natural ingredients, and free from artificial flavors. Gelato has lower fat and sugar content than regular ice cream, hence, it is generally healthier and lower in calories. 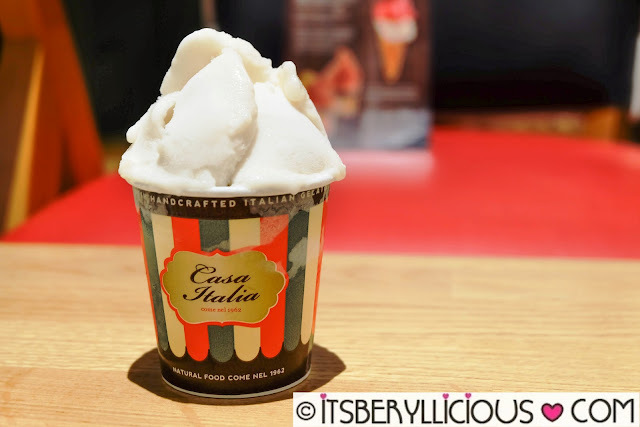 It was love at first bite for Casa Italia's Guyabano Gelato. The distinct sweet and citrusy flavor of the guyabano was evident in each spoonful. In fact, all gelato flavors we've tried have that bold and distinctive taste. Other interesting flavors were Pineapple, Ube, Green Mango, Roasted Rice, and Choco Chili gelato. 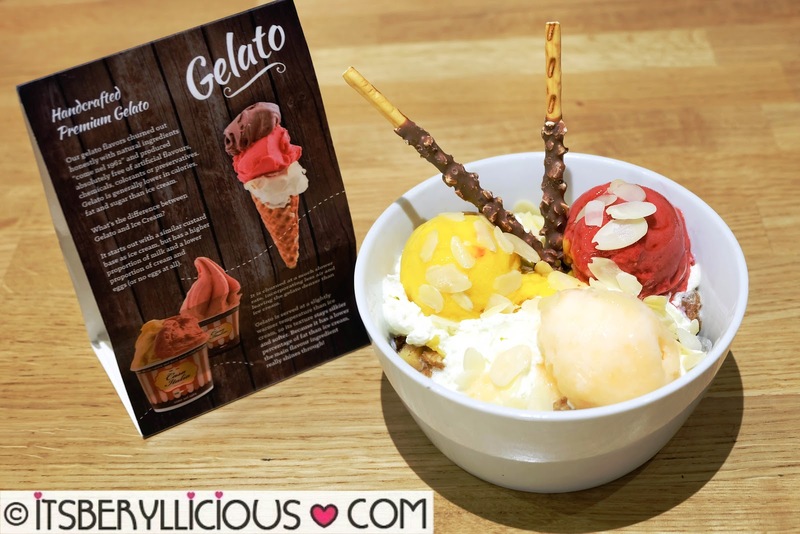 Moving on with the new dishes, Casa Italia's Gelatonini is the hottest way to enjoy gelato! It is available in two delicious flavors- Ham & Cheese and Nutella. New flavors will also be coming soon! 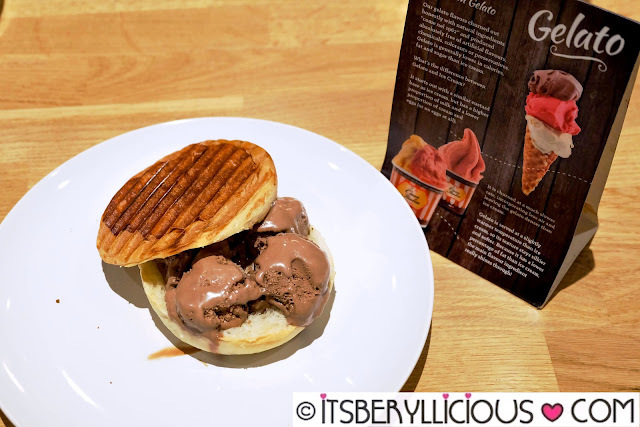 The flavor we tried was a luscious and decadent nutella gelato sandwiched in grilled Italian sweet bread of pandolce buns. Imagine eating your favorite nutella sandwich, but cold. Eating it with hands may be quite messy, but I heard they will be serving it in sandwich wraps soon. The Ham & Cheese Gelatonini on the other hand, is composed of Casa Italia's bestselling Formaggi (cream cheese and cheddar) gelato, paired with succulent portions of smoked ham. 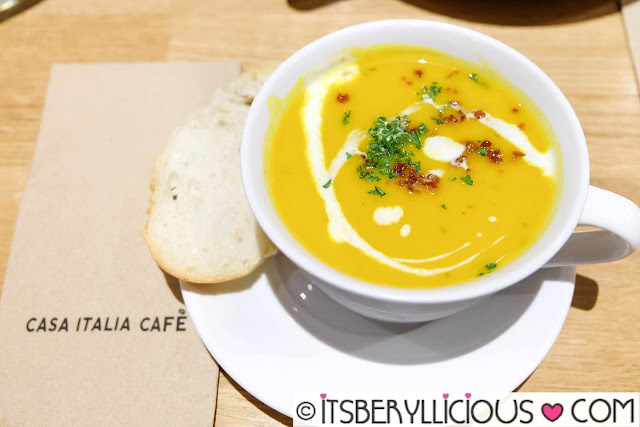 I always enjoy a good bowl of roasted pumpkin soup and Casa Italia's version did not disappoint. Although this dish came in a whole fillet of fish, I found it just ok for its price. 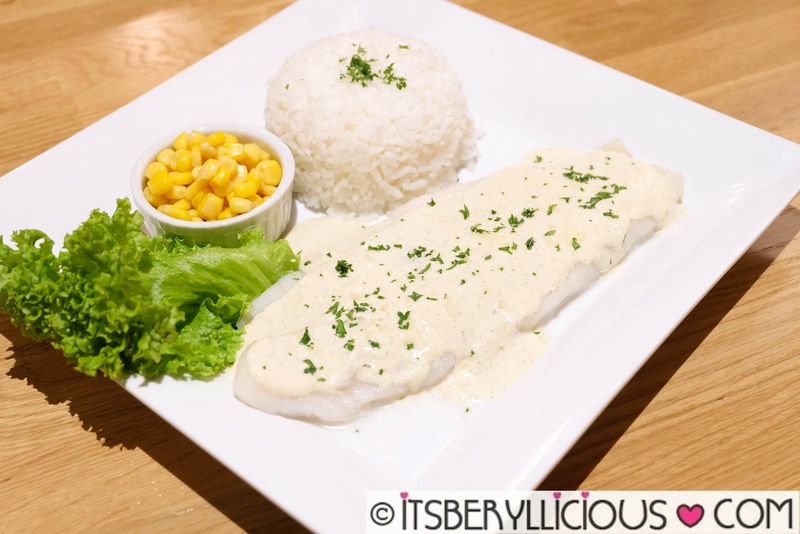 Nevertheless, pescatarians will surely enjoy this light and creamy dish more than I did. I like the blend of the tomato sauce on this dish, while the chicken was very chunky and tender. My only concern was that the chicken didn't much absorb the flavors of the sauce. Without it, the chicken would be very ordinary and boring. Now this was my favorite during my visit. 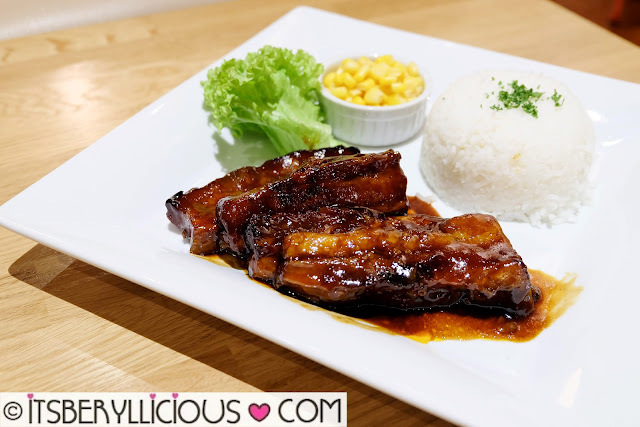 Tender slices of pork belly cooked in a sweet and savory sauce. Casa Italia gives a twist to their gelato with their Liquoratto line- scoops of premium handcrafted gelato flavors served with complementing shots of liqueur. 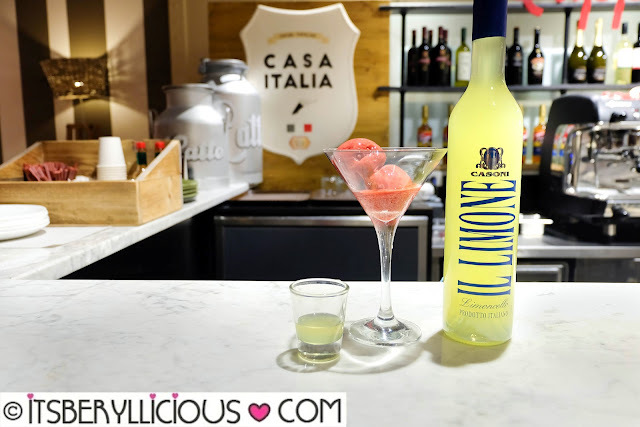 Limoncello Liquorato is a sweet and refreshing glass of tart raspberry gelato, paired with a citrusy shot/s of Casoni Il Limone. It's a great palate cleanser and at the same time a unique pick-me-up dessert. White Velvet is composed of Casa Italia's white chocolate gelato with a shot or two of Casoni Amaretto. 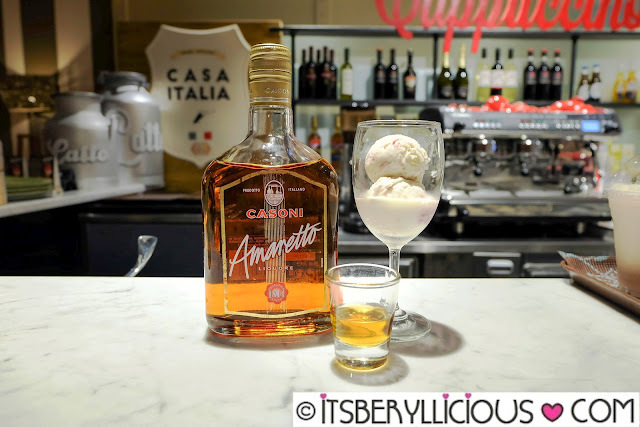 For a more indulgent treat, Casa Italia offers something that is perfect to share with the whole family. Sunny Daydream (P560) is an apple peach cobbler, topped with almonds, whipped cream, Pepero sticks and scoops of mango, melon, and raspberry gelato. Midnight Surprise (P430) is a chocolate molten lava cake topped with cookie bits, almonds, Pepero sticks and scoops of nutella, white chocolate, and raspberry gelato. 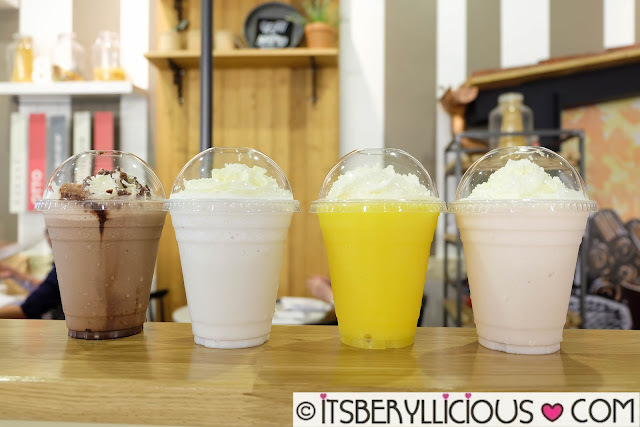 Casa Italia also offers a selection of gelato-based Frappes (P180/medio, P190/grande) perfect for a warm and sunny afternoon. Gelatoccino- a mix of Casa Italia's coffee and gelato in a cup! 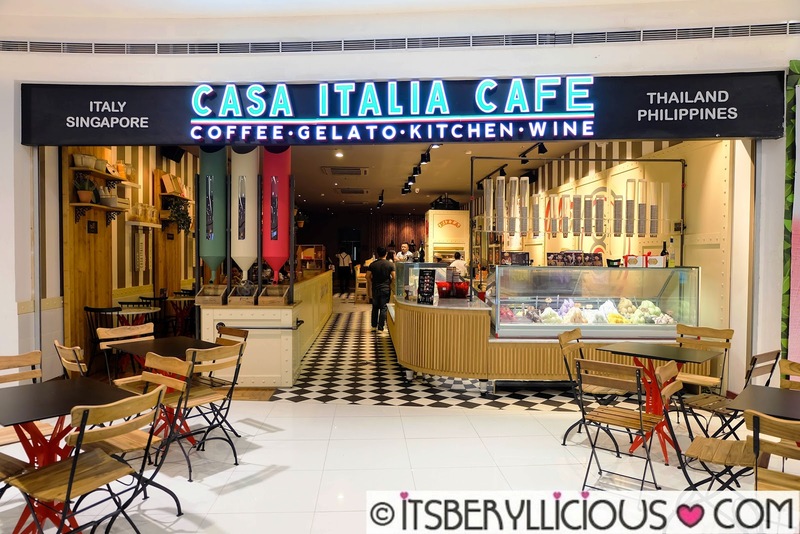 I recommend visiting Casa Italia Cafe for their premium handcrafted gelato products. All flavors I've tried during this visit were distinctively tasty and flavorful. 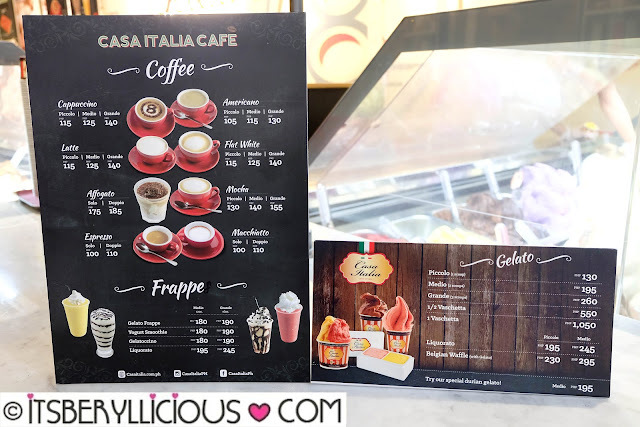 Other than their new hot dishes, their gelato products such as the Gelatonini, Liquoratto, and Gelato Frappes are also worth trying out. 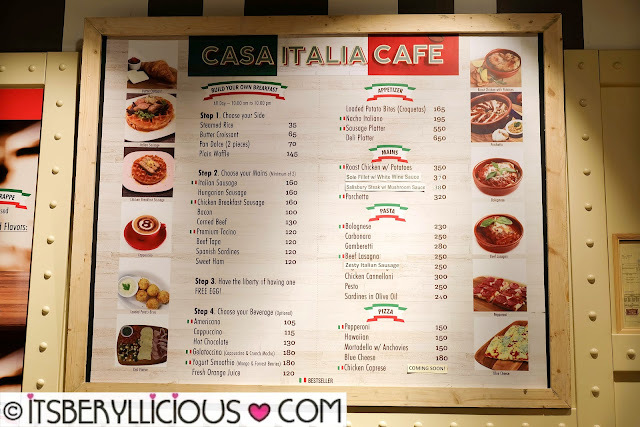 Be sure to drop by Casa Italia Cafe once in a while as their gelato flavors changes regularly. Customers are always in for a whole new gelato flavor experience in every visit!